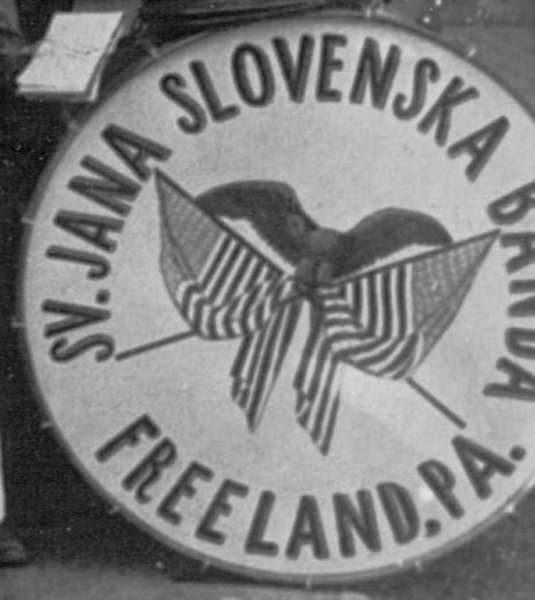 This photo of St. John's Slovak Band first came to me from Pat Boren, who wrote: "My mom grew up there in the 30s and 40s. Her father was Mike Herkalo, who was a butcher with a grocery store in the front of their home at 904 Centre Street. Mike was born in Freeland in 1884, first generation born here (his parents were from Kucin, Slovakia and they spelled the name Hirkala). Here are a couple of photos that I hope you share on your website. 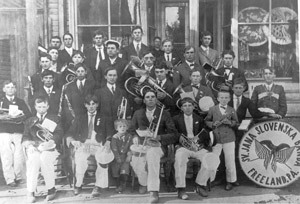 In the band photo, Mike is holding his white hat and tuba, 2nd row back, on the right. I believe his brother is behind him to the right on the end, horn visible. Guessing the time frame is 1910-ish? 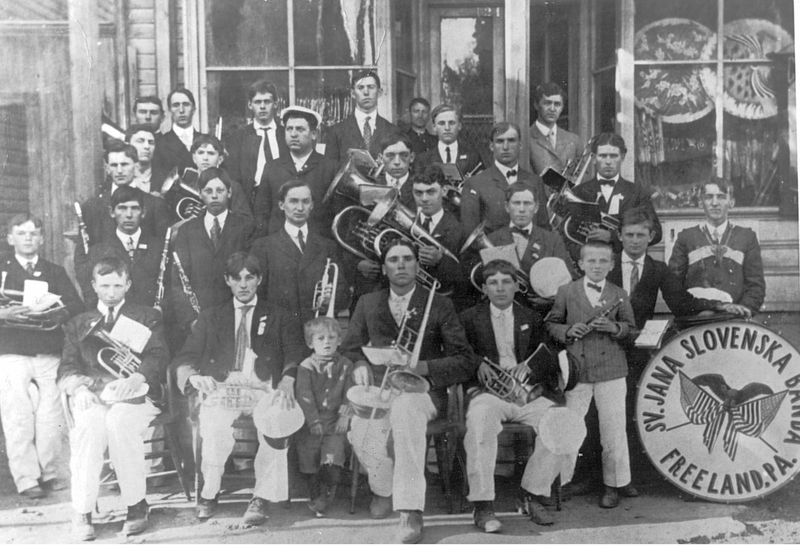 Mike Herkalo was born 1888 -- so that music photo, I'd guess he's a teenager?"